Also, some cities, like Ottawa, for example have by-laws to cover this kind of offence that would not result in demerit points i.e. "drive in a manner as to obstruct traffic". I got charged with UNNECESSARY SLOW DRIVING. I was doing 80 Kms in a 90 Km zone. The charge holds a penalty of 2 points off my license and a 110 dollar fine. Had I been driving 10 over the limit, no cop in his right mind would even think of pulling me over. 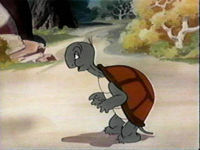 Where does the LAW state how slow is TOO slow. So what? Can a cop pull you over for doing 5 under the limit. So that the public is left with no written rule on how slow is too slow? We just have to guess? That's not right. It is a SPEED LIMIT. LIMIT meaning....don't drive faster than this. 132. (1) No motor vehicle shall be driven on a highway at such a slow rate of speed as to impede or block the normal and reasonable movement of traffic thereon except when the slow rate of speed is necessary for safe operation having regard to all the circumstances. Speed limit isn't in there. It is included in the wording of laws against driving too slowly in British Columbia for example, but not Ontario. Quebec, of course, has MINIMUM speed limits. So do some American states, like Michigan. In Ontario, you could, in theory, get charged for unnecessary slow driving even if you're driving the speed limit. 10 under limit, keeping right except to pass, or just driving on a rural highway (like Highway 17), ticket is easily beaten. If you were going 80 in the left lane of the DVP with traffic ripping by you in the centre and right lanes... that's a whole different ballgame. Regardless, be sure to get disclosure to see the evidence against you. Sounds like you already had some sort of a "First Attendance" meeting, from your post under General Talk. Crown didn't want to drop the charge, no surprise. They only want a guilty plea out of it, so you did the right thing by carrying forward if you wanted to avoid the demerit points. slowman wrote: Can anyone help me? Please. I go to court in APRIL 2009. Of course I can help you. The previous message posted here answering your message is a good foundation so there is no point repeating it. Now you need someone who can assist you in making it persuasively to the Court. If you need some help let me know. I was just entering Cochrane, Ontario...Hwy 11...single lane in both directions. Traffic was not heavy. The cop said that a few vehicles passed me but I did not notice anything out of the ordinary. The time was around 5 pm near the end of summer so there was still alot of day light. I was a bit tired, that is why I was driving slow. My music was turned up loud and my window was open. When he pulled me over he said that he had been behind me for a while with his lights and sirens on, but I did not hear or see anything. I asked him if I was swerving all over the road and he told me that the only reason that he pulled me over was that I was doing 80 in a 90. He told me that I was driving straight. I have retained a lawyer here in Sudbury...my home town...but we still have to go back to Cochrane for the hearing. I'm quite certain I was one of the ones who passed you! Based on your description, this ticket sounds like it will easily be beaten. 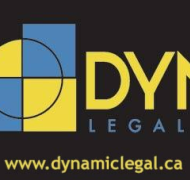 I'm not an expert, (DynamicLegal is), but I think that you have a good case that you were really obeying section 132 of the HTA. Other vehicles were able to pass you safely, you weren't being a left lane hog (couldn't really have been on a road with one lane each way), traffic wasn't heavy so it's not like people couldn't have manoeuvred around you. Main thing at this point is for your lawyer to get disclosure of the Crown's evidence and go from there. The accompanying sonic boom would've been a dead giveaway. Amazing. Before this I had never heard of anyone charged with going too slow. I personally find it more annoying and much more dangerous when someone does 15 below the limit than 15 above. At this point they should just give you a ticket for going the speed limit... because your only choices from there are to go faster and be speeding or slow down and be impeding! I'm also surprised that SOMEONE got charged with this. I hope it becomes a wider trend considering how nannyish our speed limits are. If you can't do the limit, you need rest, better training or to fix your junkbox. Good to know that they're trying. I hope they start again this year. Proper lane discipline should be enforced. rather than slow driving, there could have the use of lanes section updated...unless actively passing (within 50m front or back of vehicle being passed) a vehicle shall keep to the right. - with the above added, make it an offence to pass to the right of any vehicle. this would allow faster moving vehicles on the left and give someone moving back to the right more peace of mind that some moron is not going to "undercut" them to the right as they are leaving some space while passing. Not a bad idea, Bear. As long as the services make it a policy to enforce that instead of wasting manpower on useless speed trap overload. I would like to see lane hogs (on multi-lanes) get charged with Section 147 more often. I bet more traffic and accidents are caused by the a55 who thinks that just because the speed limit is 100 that he can sit at that speed in the far left lane. people then get pissed and aggressive and switch lanes dangerously.